Valley Striders Triathlon Club (VSTC) was formed in 2014, a natural progression following the successful expansion into cycling. Since then, the club has already secured a number of successes on the local and national scene, with numerous individual age group and category wins, even more podiums and athletes qualifying for the GBR age group teams. The club is a very friendly and open group, catering for all levels, and has attracted a number of athletes who were otherwise unaffiliated and now feel part of the team. The club is affiliated to British Cycling, providing insured social and training rides, led by volunteering (trained) ride leaders. For much more information, visit their website by clicking on the button below. 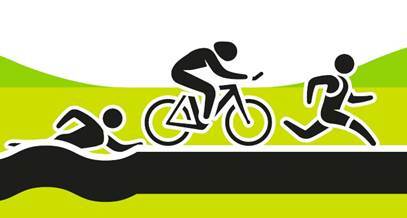 VSTC is affiliated to the British Triathlon Federation (BTF) and it is now possible to join BTF as an individual and specify Valley Striders Triathlon Club in the club section and get a saving of just over 20% on the membership fee. This is ideal for Striders who are already members of BTF but have not affiliated to any club as they will benefit the next time they renew. For Striders who wish to join BTF, please choose VSTC as your club. For Striders who are members of other triathlon clubs you may either remain with those clubs or consider transferring affiliation to VSTC on renewal. The cost of BTF membership is £51 with no club affiliation, or £40 with VSTC. BTF membership brings a number of benefits including £5 off every BTF event. You or join our Facebook group here.